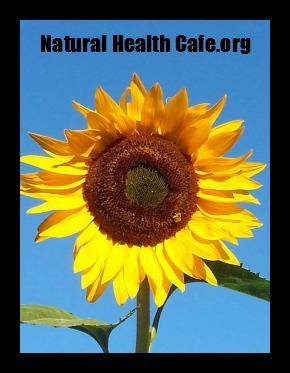 The Information You Need About a Raw Food Diet! 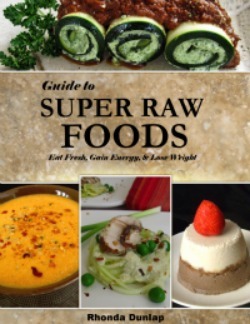 Thinking about a raw food diet? Do you want to have more energy, lose weight, and feel great? This site can give you the information you need to get started by providing tips, resources, recipes and coaching to help you on your raw journey. You don't have to eat rabbit food to go raw! You can have divine culinary cuisine that not only tastes great but nourishes you too. To find answers to your raw questions you will want to bookmark this site! I have had a lifelong interest in natural health and nutrition. I have been called a healthnut by my friends and I have taken this endearing term with pride and embraced it as an opportunity to share my love of raw foods. I was into vitamin supplements for years until I began to learn about nutrition and found that foods are the best option to get our nutrients from. In my research the word that kept coming up was the tiny three-letter-word “raw.” I learned that cooking foods destroys a lot of the nutrients and natural enzymes that aid your body to fully absorb the nutrients in the foods you are eating. When you eat raw, you are getting more nutrition than cooked foods. If you are curious about the health benefits of a raw food diet, yet you feel that you cannot “eat salads all the time,” then this site is for you. If you are interested in raw foods, I am here to help you. If you would like to get recipe ideas, and insightful information, this is it. You can start by signing up for my newsletter on the right column and I will send you a monthly newsletter with a new recipe and more tips. When you sign up for the newsletter you will also get my ebook - Go Raw, Not Crazy - free just for signing up! More and more people, just like you, want all of the natural benefits not to mention the beautiful healthy glow that a raw food diet offers, but with the freedom of eating foods other than “salads.” You decide how much raw foods you want to have in your diet and I am here to show you how easy it is to add in more of these unprocessed foods. P.S. Eating fresh, raw foods can change your life. 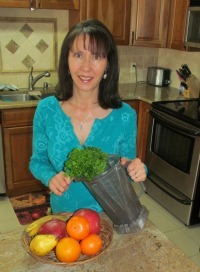 I am here to give you some tips on how to add more raw foods into your diet! Don't wait and start today by having one meal that is raw. I believe that we live in a world where health problems abound, and our diet and lifestyle is key. Poor diet has been linked to the leading causes of death in our country. 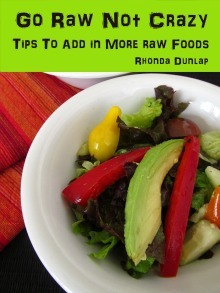 Adding raw foods is a step towards vibrant living. This site will show you that a raw food diet may be the very best gift you give yourself. To learn more about Rhonda click here.